This article was republished with permission from globalhealingcenter.com. Life moves fast and a lack of energy is a complaint for many. Fatigue or tiredness has become an increasingly common symptom, and there is a theory floating around that has taken on this issue. Adrenal Fatigue was a term coined by James M. Wilson, and it proposes that chronic mental, physical, or emotional stress taxes the hormone production of your adrenal glands and wipes out your energy levels. As of today, there has been no scientific research backing up this theory, but we will explore this issue while providing some facts around it. The theory states that common symptoms of adrenal fatigue include problems falling asleep at night, staying asleep, difficulty waking up, and increased of food cravings, especially for salt and sugar. Even if a good night’s sleep is had, an individual with adrenal fatigue feels tired all the time. You have two adrenal glands, each paired with one of your kidneys. 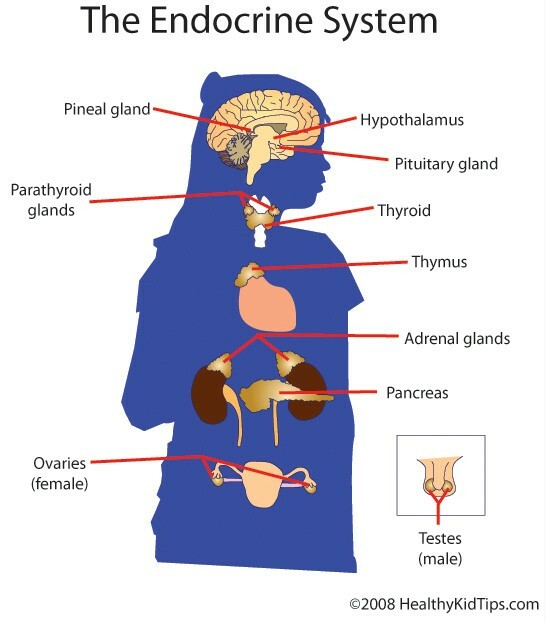 They belong to your endocrine system along with your thyroid, pituitary gland, pancreas, ovaries/or testes, and parathyroid glands. These organs produce hormones that regulate growth, sleep, mood, metabolism, and your fertility. Adrenal fatigue is different from adrenal insufficiency. Also known as Addison’s disease, adrenal insufficiency occurs due to the disruption of your adrenal glands due to nutritional imbalances. This causes them to stop producing aldosterone, the hormone that regulates blood pressure and salt levels in the blood, and also cortisol, the hormone your body uses to counteract stress, but cortisol does a lot more. It helps maintain blood pressure, slows inflammatory response, and also contributes to metabolism. The symptoms of adrenal insufficiency are mostly different and much more dramatic than adrenal fatigue. It usually begins with a loss of appetite, weight loss, and weakness. Half of the people affected will have nausea, vomiting, and diarrhea. If left unaddressed, it can be fatal. Adrenal insufficiency can be treated with hormones to replace the ones not being produced. If you’re under constant stress and feel chronic fatigue, you can take a few simple steps to keep your endocrine system in balance. Set time aside to rest. While sleep may be difficult to come by, when you take some time to wind down, it helps your body relax. Avoid endocrine disruptors. These chemicals and some foods interfere with your hormones and can overly stress your adrenal glands if exposed in excess. Implement an adrenal fatigue diet. You need a variety of natural, organic foods including healthy proteins, whole grains, and fruits and vegetables for proper adrenal nutrition. Adrenal Fatigue Supplements. Iodine plays a large role in hormone balance. To promote hormone balance naturally, make sure you supplement with vitamin C, vitamin E, B vitamins, calcium, and magnesium. For more information on a high-quality vitamin supplement, I personally recommend IntraMAX®. Hormonal imbalance affects every aspect of your body and life, and the effects create a wide variety of symptoms including feeling fatigued. As stated in this article, hormones regulate many body functions and are imperative to know how to take control of your health. I created a webinar where you can learn all about hormonal imbalance, from causes to symptoms and remedies. I highly recommend taking the time to watch it! Now, if you do have chronic fatigue and your symptoms are seriously disrupting your life or you’re feeling depressed, you should see your healthcare provider to rule out more serious conditions.